One of the most popular online pokies today, Mega Moolah Pokies are played by thousands of people around the world. Developed and marketed by Microgaming, a premier online and live slot machine developer in the world, Mega Moolah Pokies is best known for the huge million dollar jackpots that it gives away. Mega Moolah is progressive, which means that the chances of winning a big amount are also huge for the players. That is perhaps the reason why almost every online casino features Mega Moolah for real money. The game is not just rewarding, but also highly entertaining. 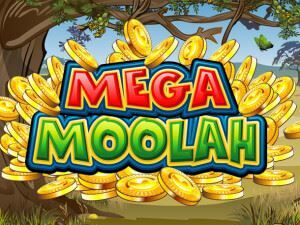 Mega Moolah is a progressive jackpot slot machine with 5 reels and 25 paylines. The coin range of the game is 0.01 to 0.05, making it one of the most popular penny slots that pay huge jackpots to lucky players. The max bet is 125 coins per spin.Mega Moolah allows you to customize your gaming experience by adjusting the speed, playing on auto mode, or manual mode. Mega Moolah has 4 tiers of progressive jackpots and a game jackpot, which pays 225,000 coins. It includes a wild symbol, scatter and also a bonus feature that is triggered by the scatter. All these features improve your chances of winning more coins. Australian players can be transported to a magical, African world with Mega Moolah Pokies. The theme of the Mega Moolah slot game is Wild Africa, in a colorful Serengeti setting. The symbols include the wild lion, elephant, wild buffalo, monkey, giraffe, kudu and zebra, which are all commonly found in the Serengeti. Other symbols that are included in the slot are card symbols A, K, Q, J and 10. The graphics of Mega Moolah are vivid, making the slot more than just entertaining. The bright colors, which are easy on the eye are a pleasure to look at and make the game attractive for all kinds of players. Even the animal symbols featured in the game are not real images, but attractive and colourful caricatures that you will simply love watching on the reels. Mega Moolah Pokies is like any other slot game you play online. Look for a reliable online casino that offers Mega Moolah and make a deposit. Once you do, click on the online slot section and select Mega Moolah. 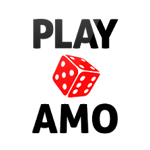 Ensure you set the mode to real money play to win real money. However, if it is your first time playing this slot, try the play or fun mode first to get an idea of how the slot game works. Once you are comfortable, bet a small amount and see how it goes. Avoid betting big right in the beginning, as it could prevent you from playing for long, in case you lose. Also make use of any bonuses that the online casino offers to play more and improve your chances of winning. Unlike most other online pokies, Mega Moolah pays you huge jackpots. The fact that Mega Moolah is a progressive slot makes it all the more attractive for Aussie real money pokie enthusiasts. It is one of the few slots online that has a chance of making you a millionaire. In fact, Mega Moolah has helped many people around the world make a lot of money, usually in millions. However, the best slot players know that to even stand a chance of winning millions, they need to bet max and play persistently. That said, it is important to watch your spending, play carefully and responsibly, and you could hit a jackpot. Even if you don’t win the progressive jackpot, you can win exciting prizes within the game too.